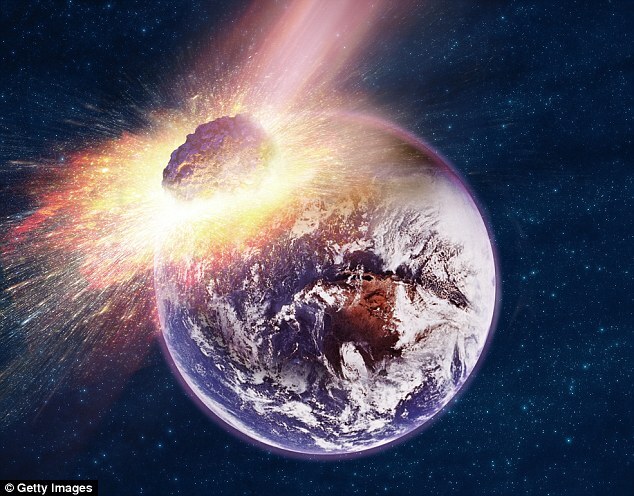 NASA will be unable to defend our planet against a doomsday asteroid that could smash into Earth in 2135, a chilling study has revealed. 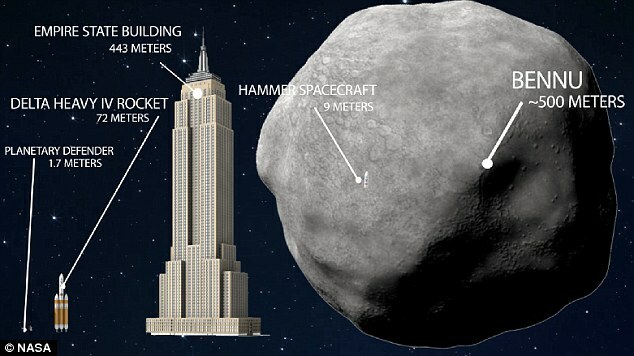 Researchers found that it might be impossible to stop the space rock - which is the size of the Empire State building - from careering into Earth next century. 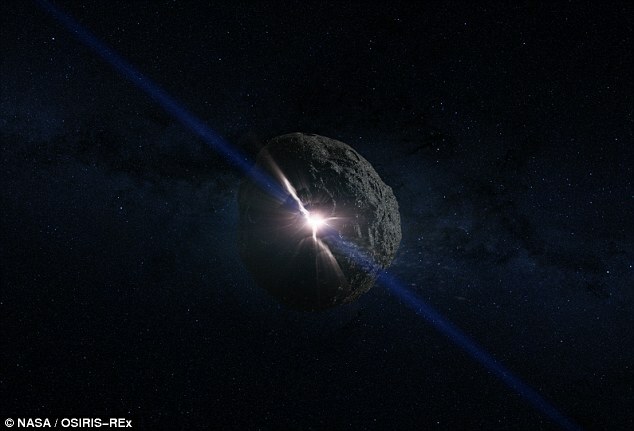 Scientists revealed that even their most advanced technology would prove 'inadequate' for deflecting such a space rock, which has been dubbed Bennu. 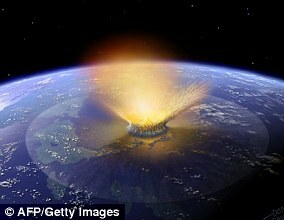 The consequences would be 'dire' experts have warned, and the asteroid has sparked fears that it could even wipe out life for good. Scientists are investigating the possibility of using a specially designed spacecraft to nuke approaching cosmic objects, in hopes that doing so could deflect the threat. While it could be possible to divert a near-Earth object (NEO) by slamming into it with a so-called impactor, experts say a nuclear explosion may be the best bet when time is running out. In a new paper, scientists from NASA and the National Nuclear Security Administration have laid out a plan for the Hypervelocity Asteroid Mitigation Mission for Emergency Response (HAMMER). The 8.8-ton HAMMER spacecraft could be used to steer itself directly into a small asteroid, or blow the space rock up using a nuclear device, according to BuzzFeed News. 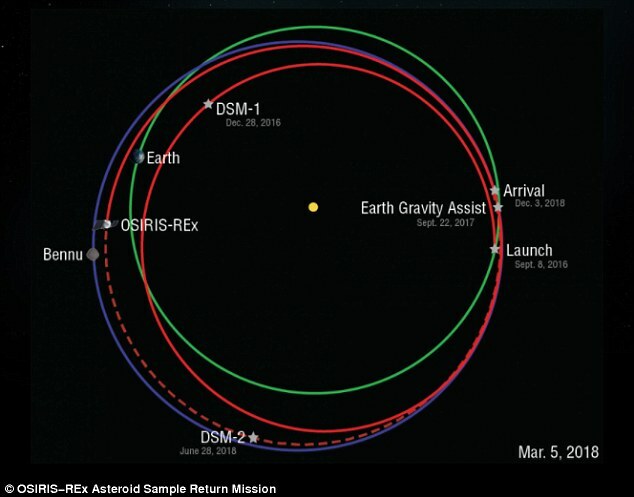 The team has devised a proposal around a potential impact with the 1,600-foot-wide asteroid Bennu, which is currently the destination for NASA’s Osiris-Rex sample return mission. While Earth isn’t at risk of a collision with Bennu any time soon, there’s a 1 in 2,700 chance it will slam into our planet sometime next century. Bennu is also the best-studied asteroid of all the known NEOs, the researchers note. ‘The two realistic responses considered are the use of a spacecraft functioning as either a kinetic impactor or a nuclear explosive carrier to deflect the approaching NEO,’ the authors wrote in the study, published to the journal Acta Astronautica. ‘Whenever practical, the kinetic impactor is the preferred approach, but various factors, such as large uncertainties or short available response time, reduce the kinetic impactor’s suitability and, ultimately, eliminate its sufficiency,’ the authors wrote. By driving multiple spacecraft into the asteroid’s path, it could be possible to slow the object down and throw it off course to avoid a collision with Earth. If the conditions aren’t right to use the kinetic impactor, however, nuking it might be the only option. ‘If the asteroid is small enough, and we detect it early enough, we can do it with the impactor,’ physicist David Dearborn of the Lawrence Livermore National Laboratory told BuzzFeed News. ‘The impactor is not as flexible as the nuclear option when we really want to change the speed of the body in a hurry.’ Despite ongoing efforts to catalogue potential hazards in Earth’s vicinity, scientists have increasingly warned that there are countless large objects that remain undetected. Given the risk of an inevitable impact sometime in the future, the experts say it’s necessary to plan for the worst. The researchers will present their proposal at a conference in Japan this coming May. For now, however, whether or not the HAMMER plan will ever come to fruition remains up in the air. Not until 2135? Ah man... why can't it be 2018? Well, I'll be 154 years old, but... what I find more disheartening is "Scientist" apparent pessimistic approach to the future of humanity. I mean can I at least get a silver lining??!! We aren't any better than the dinosaurs, why should we be spared? Please, don't speak for me. We are chosen. Whether you wish to acknowledge it or not. We are chosen? by who? Where is the evidence, proof? Please do not quote something which is a belief system. I am sorry you do not have your "proof" yet. Do you love your Parents? Prove it! Regarding solving the core problem. Actually, as follows from published analysis (see, for example: https://cordis.europa.eu/result/rcn/184236_en.html ), three most popular approaches to NEOs hazard avoiding (deflection or disintegration) are not enough effective and not scalable even to country-wide destruction size of space bodies. 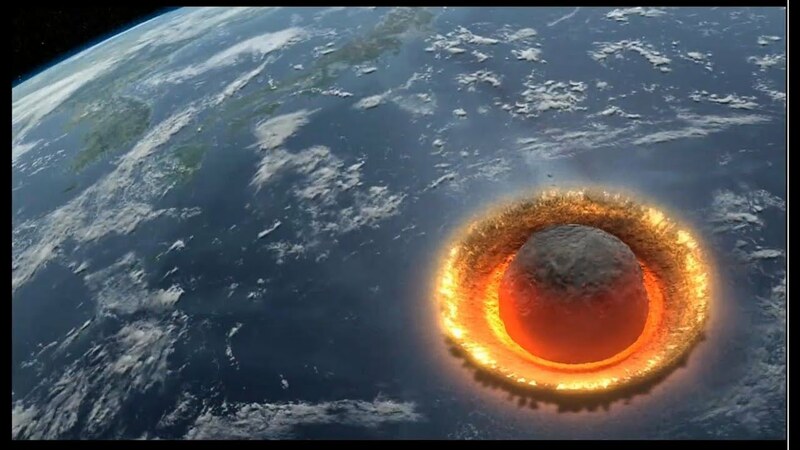 It is unlikely that the kinetic impact method will work because of the naturally crumbly structure of asteroids and comets (due to their extremely heterogeneity and multi-scale porosity) which will prevent shock wave propagation and proper impulse transfer. The gravitational pull is deficient in that it is extremely weak and further constrained by the NEO’s shape and rotation. The ultra-high-power nuclear blast scenario is risky and can pose danger both at the ground-based and space-born stages. It can also result in creating a stream containing hundreds of “city-killing” radioactive fragments, e.g., in the case of disintegrating a sub-km asteroid. It appears that deflecting NEOs by evaporating their material using highly concentrated sunlight is the only method that meets all of the following criteria: scalability up to global-threat NEO sizes, sufficient thrusting power, environmentally friendliness, and low cost. An improved concept for such solar-based deflection using an innovative concentrating collector was proposed and substantiated in 2013 (see: https://link.springer.com/article/10.1007%2Fs11038-012-9410-2; also a short demo-video: https://www.youtube.com/watch?v=9u7V-MVeXtM ).